The WTF!? 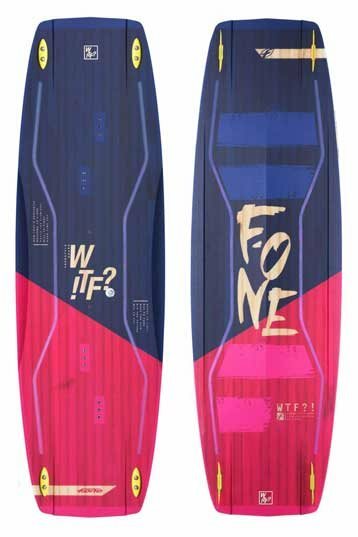 is a brand new kite from F-ONE for 2018; it’s a no compromise freestyle machine designed for winners; it’s even in the name: Win The Freestyle! The C-Shape itself has always been the best option for making an easy to control and dynamic kite. To maximise the handling during intense moments such as loading up for pop and slack, and mega loops, we utilised a five strut design which keeps the profile exceedingly steady and gives our riders great confidence in the kite at all times. We decided to add a 5th line to help with control, optimise the power and also to enable them to relaunch the kite quickly with minimal effort. Freestyle kites undergo unique situations as the riders load and release, going from full power as they edge to no power as they fly through the air, that"slack" feeling is the Holy Grail of a good freestyle kite. The WTF!? 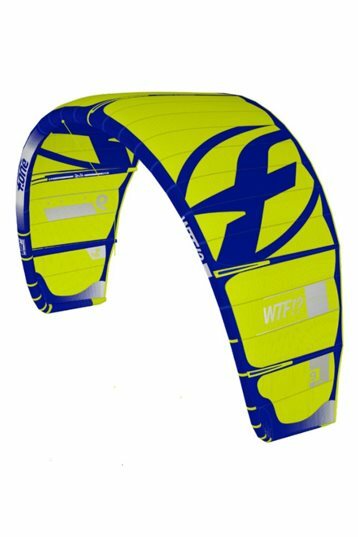 has superior pop and excellent slack, while we have ensured the kite is strong enough to handle these intense demands, especially during high wind kite loops, we have also kept the weight of the kite down to ensure excellent handling. Each size of the WTF!? has been individually designed to match the conditions they are aimed at. 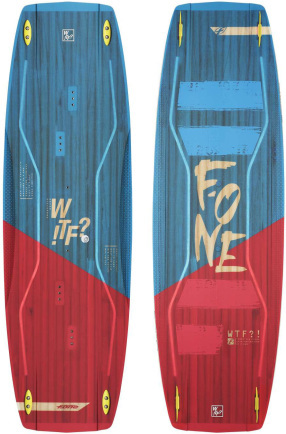 The larger sizes have been developed to deliver more power and get you planning early; the smaller sizes are built with a high top end wind range in mind. This means whichever size you choose; you know everything has been done to get the most out of the given conditions on the day. 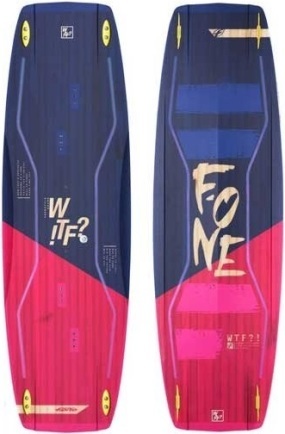 We are offering the WTF!? in every size from 5m to 15m allowing you to choose the perfect quiver for you without having to compromise. The kites are also highly turnable, allowing you to dial in the flying characteristics to suit your riding style. There are three tuning options on the front lines; these allow you to adjust the kite to fly according to your level, riding style and the conditions of the day. Three rear line tuning options enable you to tune how the kite feels at the bar and adjust the handling too. Of course, once you are in the air you need the lines to de-tension, creating slack, this allows you to pass the bar with ease, and the rider can perform tricks without being pulled by the kite. Lastly, support is an often-overlooked aspect, riders these days are going higher and further than ever before with the kite super low. They don’t want to fall from the sky though, with no support from the kite, so it is critical that the kite can regain some tension and help them avoid overly harsh landings.